Mr. Moshood Ayinde Saleeman has been appointed the Acting Executive Director (Market Operation) in the Independent System Operation, ISO, a Business Unit of the Transmission Company of Nigeria (TCN). He was the General Manager (Fin. & Acct), Market Operation before his new appointment. Market Operation and System Operation are two sectors in the Independent System Operation, ISO, which is a business unit of the Transmission Company of Nigeria, TCN. Mr. Moshood Saleema would act in this new capacity until the Federal Government appoints a substantive Executive Director (Market Operation). Prior to this ascension, Mr. Moshood Ayinde Saleeman, who holds MBA (Finance) from the Abubakar Tafawa Balewa University, Bauchi and BSc. (Economics) from Ahmadu Bello University, Zaria, has served in various capacities in Power Holding Company of Nigeria and National Electric Power Authority, which were the fore-runners of the Transmission Company of Nigeria. Mr. Moshood Saleeman is a member of the Institute of Certified Public Accountant (ICPAN) and Association of National Accountants of Nigeria (ANAN). He has assured of his readiness to work assiduously with the entire staff and management of Market Operation and ISO in general to achieve the corporate objectives of the Market Operation, the Independent System Operation and the power sector. He is married to Barr. (Mrs) Musili Saleeman and they are blessed with children. Engr. Ahmad I. Kaitafi graduated from the famous Kaduna Polytechnic in 1982 with a Higher National Diploma Certificate. After his National youth Service Scheme, He joined the Service of Chad Basin Development Authority and worked in various capacities, till 1968 when he went to the University of Maiduguri, to read for a Bachelor of Engineering degree in Electrical and Electronics Engineering. After graduation from the University, Engr. Kaitafi went back to Chad Basin Development Authority. He later joined the services of the then National Electric Power Authority (NEPA), in September 1991, and was posted to the newly created Yola Zonal Office as Manager (Distribution Network Planning). He has worked at various locations and capacities in the Distribution and Marketing Sector of NEPA, and became a Principal Manager and District Manager (D & M), Jos in October 2000. He was later redeployed to the Market Operator in 2007, as head of Performance Management, in 2009 he became head of Settlement and Commercial Reconciliation. In 2012 he was promoted to the post of Assistant General Manager, in-charge of Stakeholders and Regulatory Affairs, and in 2014 was promoted to the post of a General Manger ( Market Development and Compliance), a position he is still occupying. Engr. Kaitafi holds Master’s Degree in financial economics from the University of Abuja and served various committees set up by either the Ministry of power or the Nigerian Electricity Regulatory commission, to reposition and strengthen the Nigeria Electricity Market (NEM). Engr. Kaitafi is happily married with five (5) children and his hobbies are reading and travelling. He has travelled to many African, Middle East countries and UK. Engr. Kaitafi is also a member of the Nigerian Society of Engineers (NSE) and is registered with the Council for the Regulation of Engineering in Nigeria (COREN). As a prolific writer, he has so many presentations on various topics on Electricity Markets, Market Development, Regulatory to his credit. Mrs. Oni is a graduate of Mathematics. She is a member of Nigeria Computer Society, (NCS), Computer Professional of Nigeria, (CPN), Information Systems Audit and Control Association(ISACA). She is married with four children. Mr. Benedict Ogbu is an Accountant. He holds a Masters of Business Administration (MBA) degree in Finance & Banking from the university of Nigeria, Nsukka. 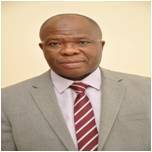 He is a fellow of the Institute of Chartered Accountants of Nigeria (ICAN).